Kylie Jenner always serves up awesome hair looks, as she’s effortlessly pulled off platinum blonde, dark jet black, and even dark green hair like a boss. With that said, it’s safe to say that Kylie could pull off practically any hairstyle, even if it’s one cut at-home by her bestie Jordyn Woods with kitchen or craft scissors. Either way, you’re reading that sentence correctly. 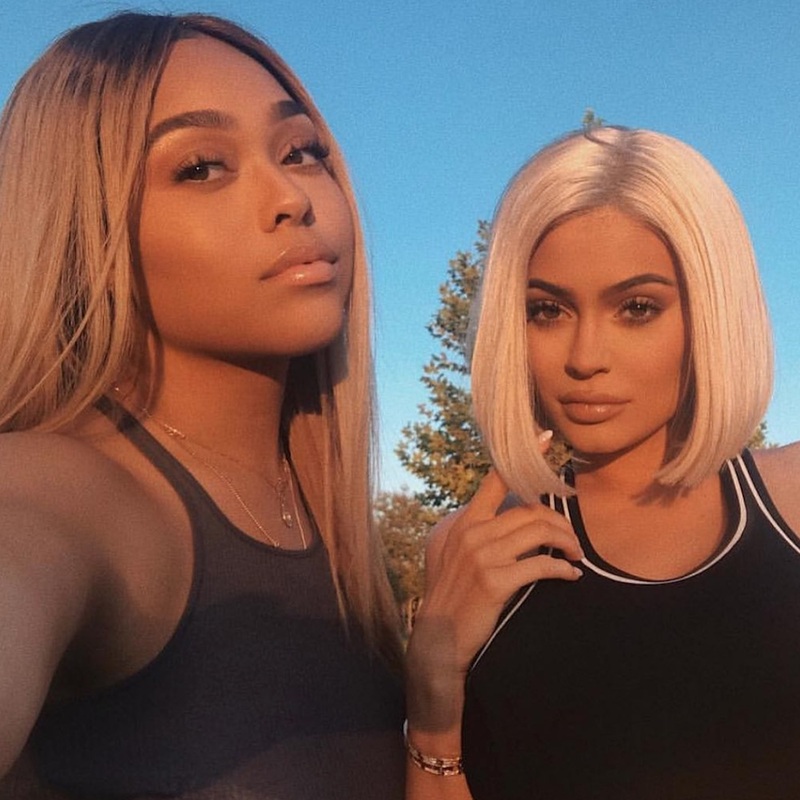 On Tuesday, Kylie Jenner shared a pretty shocking video on Snapchat of her best friend Jordyn Woods cutting her hair with kitchen scissors. While this is something we could never do ourselves (without screaming in horror, of course) we feel that only someone like Jordyn could make an at-home cut look totally chic. And to be honest, we’re not afraid to say that Jordyn knows what she’s doing, especially since we’re really feeling Kylie’s mid-length bob haircut. Although, Kylie’s go-to hairstylist, Andrew Fitzsimons, had a few words to share about Kylie’s new ‘do. He even posted a photo of Kylie with long hair (R.I.P). "Long waves today on Kylie Jenner before Jordyn Woods hacked them off with the kitchen scissors ✂️✂️"
We have to give Kylie major props for letting her BFF cut her hair (that is trust on a whole different level) and posting this online. If we’re being honest, it looks way better than the cuts we would do at home, on ourselves. Yes, we’re even talking those times where we trimmed our horrible bangs back in high school. And while we’re pretty sure this crazy Kylie cut won’t last long (she loves to experiment with her hair like almost every week! ), we’re hoping to see other celebs be as candid about their at-home cuts. Besides, it would be more than awesome to see Kylie herself cutting either Kendall, Kourtney, or Khloé’s hair. Hey! Maybe even Kris herself could get in on the fun.